I'm not sure what has gotten into me but this year I am all about colorful ornaments. Normally I stick to a glamorous neutral or two (gold is neutral, isn't it? :) and one color for my decor. But this year I'm going all sorts of colorful! 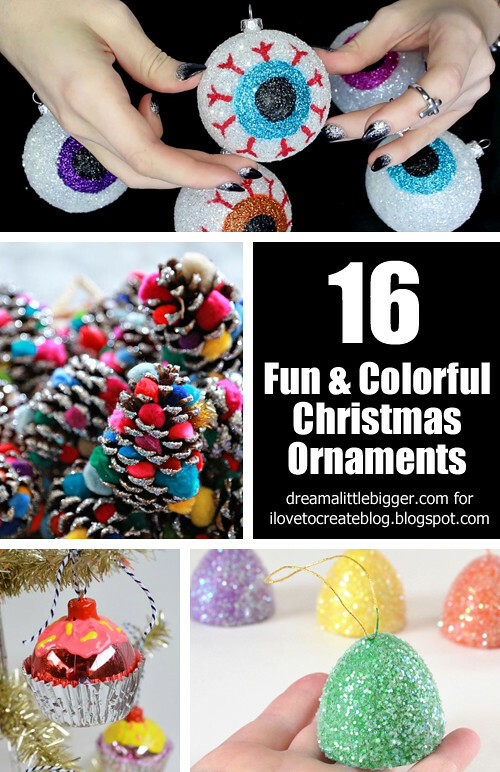 So in spirit of a colorful Christmas, I'm sharing 16 of my favorite crafts I found around the internet that can be made with iLoveToCreate products! I love when parents have ornaments on their tree that their kiddos made. It's so personal and lovely and you know that those little ones are proud. 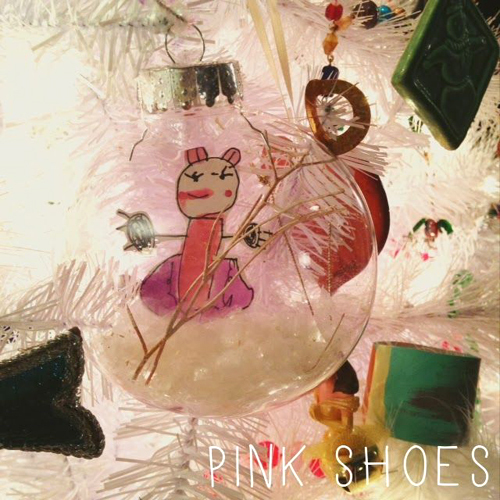 Check out these wonderful kid made ornaments from Pink Shoes. This ornament here I found on Pinterest and I thought that it was perfectly gorgeous! The pin has instruction. 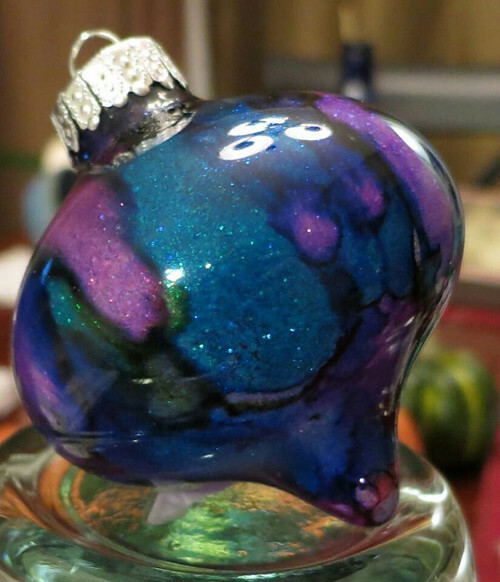 That lovely purple and blue make for my favorite glittered ornament I've seen to date! I have literally a gazillion magazines I don't know what to do with. People send them to me as Christmas presents and then I never read them. But these decoupage ornaments I could totally see myself making these beauties from Crafts 'n Coffee and finally putting that paper to good use! Who doesn't think of candy canes when thinking of Christmas? These kitschy and totally fab heart ornaments from Maya in the Moment are simple and meaningful. 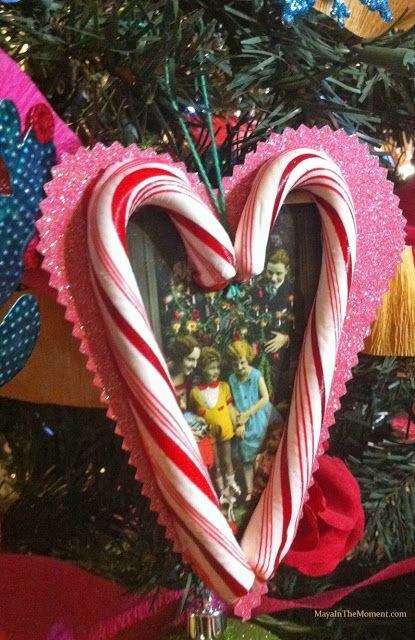 Candy Cane Heart Picture Ornament. 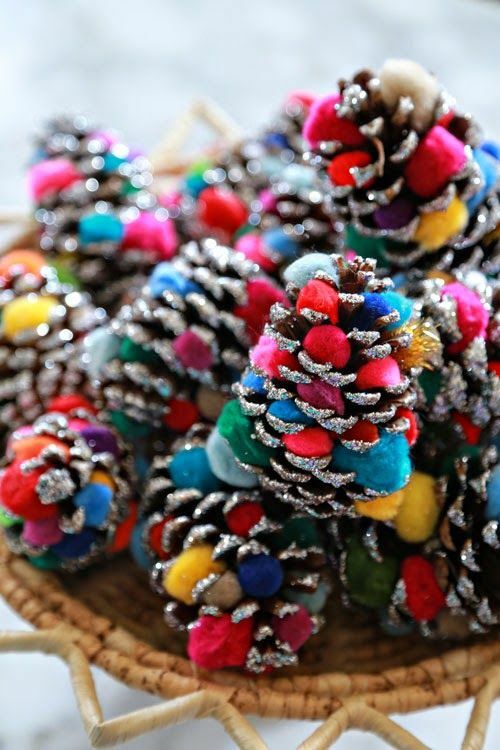 Kids love pompoms and glitter, don't they? Aunt Peaches takes plain old pine cones and kicks things up a notch with two simple and easy to get craft supplies! These may not be the kind of ornaments you can hang on a tree, but they're guaranteed to give you some amazingly festive windows! Hang out at Club Chica Circle to see how to make your own! I absolutely LOVE these cupcake ornaments from the always fabulous Jaderbomb! How creative is this?!? 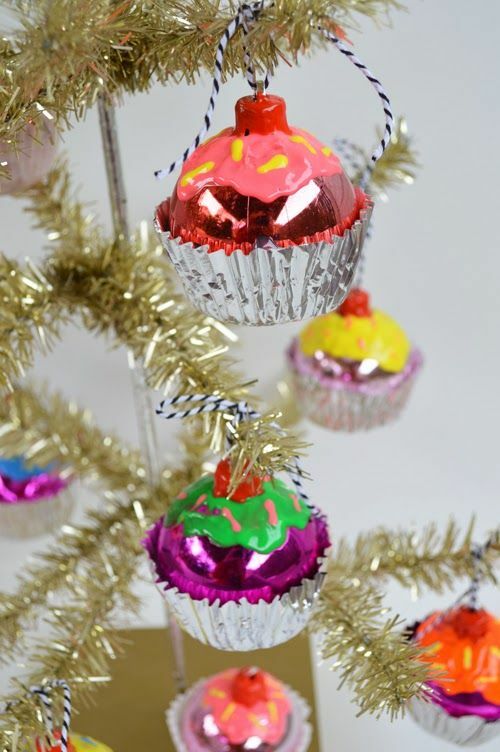 Turn ornaments into cupcakes for the sweetest tree around! Okay, so these totally aren't for Christmas. They were actually meant for Halloween, but they're so cool and if you have some weird ornaments like we do, they'd fit right in! This is a video tutorial from Made U Look and it's fab. So we're back with another fabulous DIY from the Aunt Peaches. 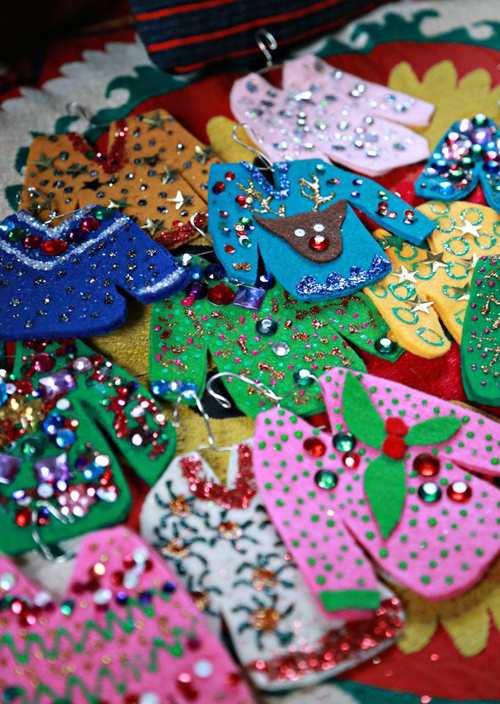 These ugly sweater ornaments are so cute, so original and look like tons and tons of fun to make! Like a little bling on your Christmas tree? 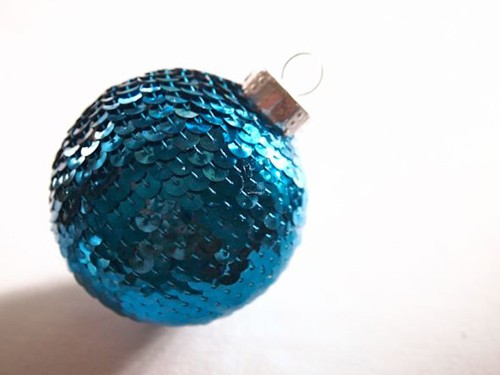 This sequin beauty from Miss Kris are gorgeous, super easy and look totally store bought! Do you love ice cream cones? Who doesn't?! 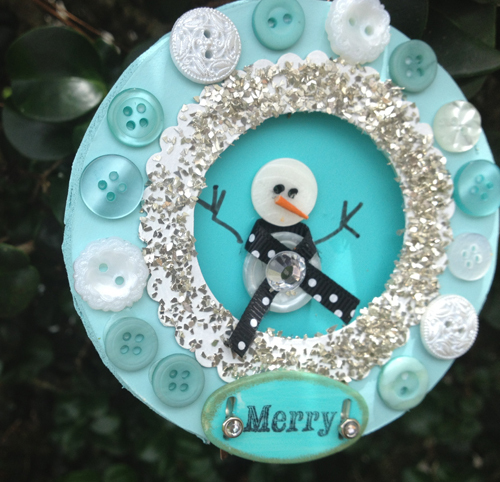 The queen of Kitsch, Jennifer Perkins turned regular ol' ornaments into vintage inspired wonderful-ness! 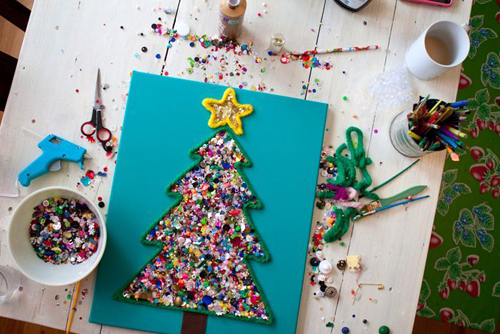 In my experience, kids really do love getting their ornament crafting on. It's especially fun when they can work without any supervision. 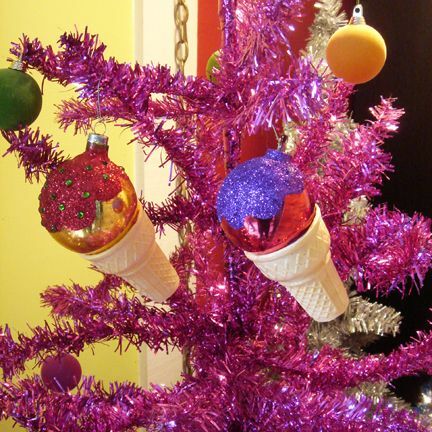 These Popsicle trees from Mom Spotted can be done without any adult supervision. Nifty! 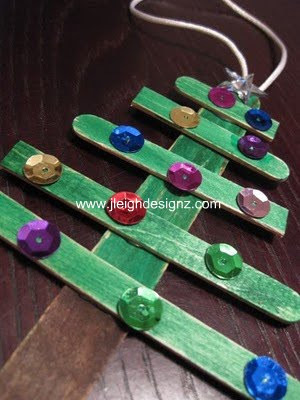 I love the idea of making little shadow boxes for your Christmas tree like Buttons Galore and More did. How fun is that?! This particular project would be so much fun for the scrapbooking crafters out there! 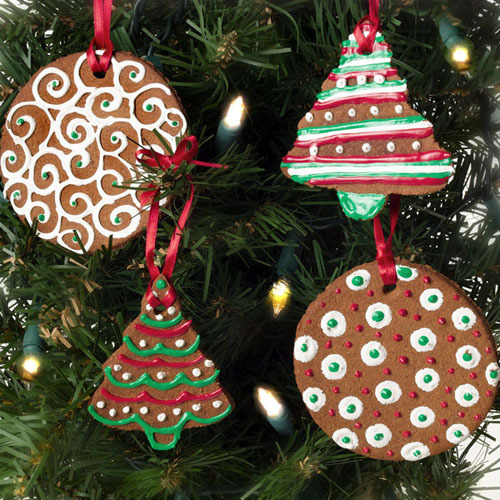 Have you ever made traditional cinnamon ornaments? They are amazing, smell great, but not too strong. I have but I never, ever considered decorating them with Puffy Paint. Genius! This next ornament is one of my favorites because I did it myself! 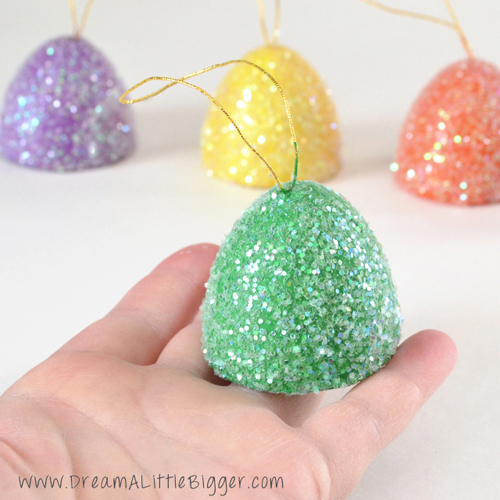 Bringing color and glitter and sweetness to the Christmas tree, these gum drop ornaments are fun and pretty! 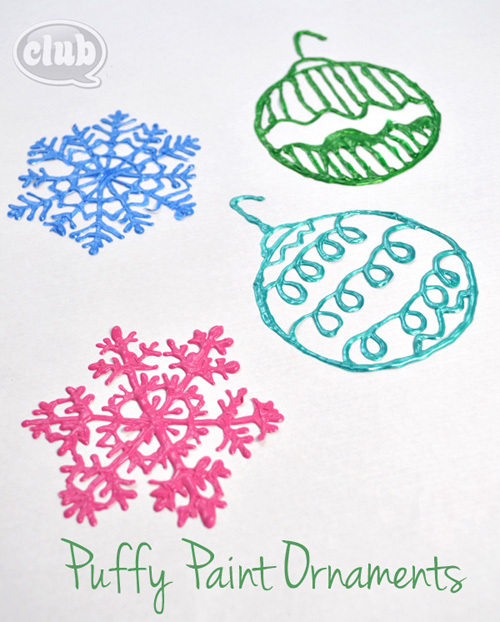 Now this last project was actually done on canvas BUT it would be super easy to turn into ornaments by doing on cardboard and then cutting out. However, I am totally in love with this project as is and hope to do this with my nephews soon! Visit me at Dream a Little Bigger some time and be sure to tune back in tomorrow for some crafty DIY from yours truly! 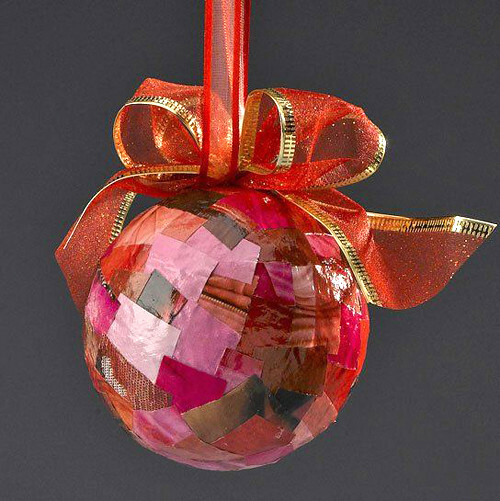 Amazing and beautiful ornaments for Christmas. You done a great job.